The month of May has certainly been a time to reflect on our involvement with community projects. One the initiatives the Music Department at St. Andrews International School, Green Valley Campus are always to try and maintain good relations with the Father Ray Foundation. One fine Sunday afternoon a group of students went to perform at ‘Picnic at the Park’ event organized by Regents International School. 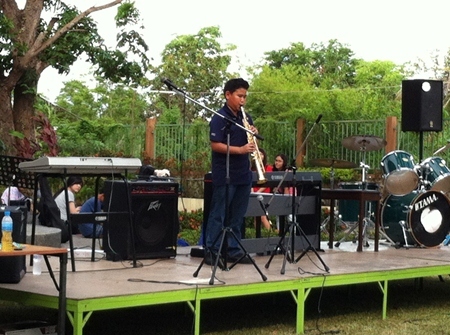 The audience had the opportunity to hear some of the music department’s best students perform including Gridj on the saxophone, The Junior Secondary Rock Band and some of the other students performing within their own formed music groups from Year 8 – 11. Gridj in Year 7 playing on his saxophone! 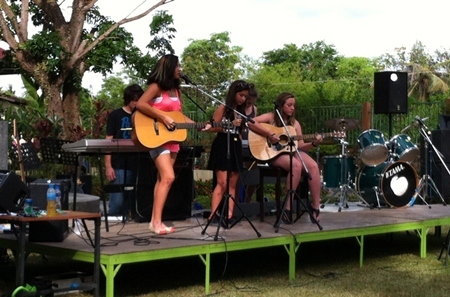 Some of the year 8 girls performing one of their songs. 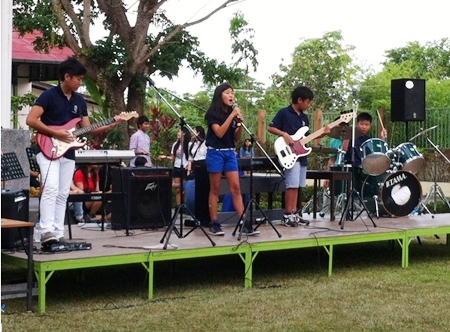 The Secondary Junior Rock Band. 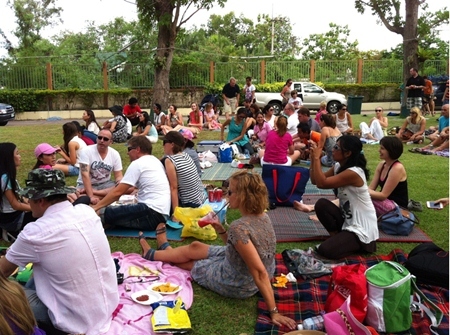 Some of the families enjoying the concert.